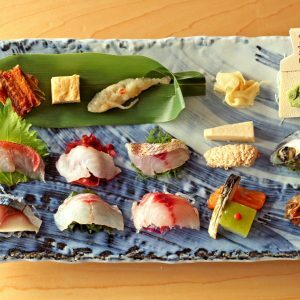 There are certain things any self-respecting foodie in Japan needs to eat when in season – bamboo shoot in the spring, hamo (daggertooth pike conger) in the summer, matsutake (pine mushroom) in the autumn, and in the winter it would have to be crab. Although I do not consider myself a fanatical foodie, I had the good fortune this winter to be served specimens of some of the highest-grade crab in Japan, not once, but twice. The first crab came from the port of Taiza (間人), in the Tango region of Kyoto prefecture, to the north of the ancient capital. Taiza crab is a kind of Matsuba crab – a brand that can be used only by crab unloaded in the Tango and Sanin area off the Sea of Japan. Matsuba crabs are larger than other types of crab and sweeter-tasting, but even among Matsuba crabs, those caught off the port of Taiza are particularly prized due to their rarity. Not many Taiza crabs are caught because there are only a few boats that set off from Taiza and since these are generally quite small boats, and therefore vulnerable to bad weather conditions, they cannot stay at sea overnight to increase their catch but have to return to port each afternoon. 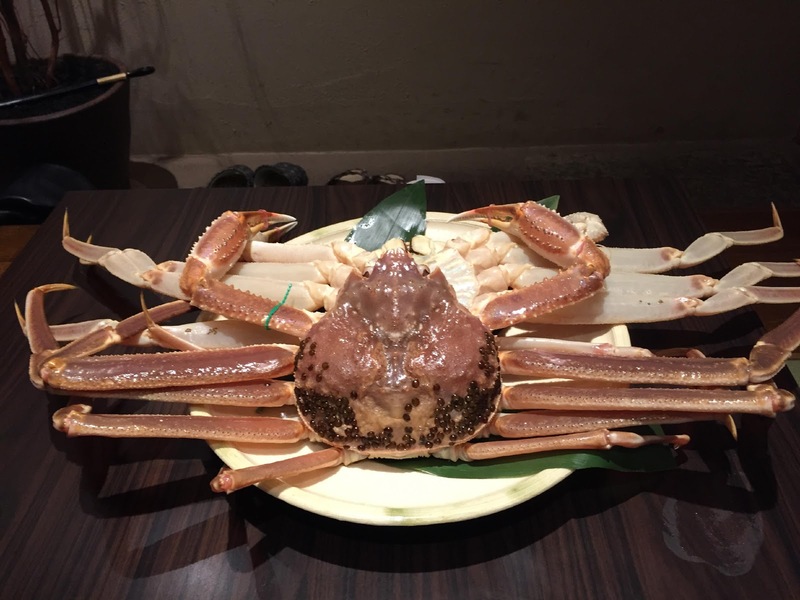 Our encounter with the Taiza crab – two huge specimens that were still frothing at the mouth when we arrived for our meal – was at Ichimiya (一三屋), a small Japanese restaurant in Osaka. The crabs were not only the biggest I had ever encountered on a table, they were obviously very fresh. After we had been introduced to our meal, the chef took the crabs away to be turned into sashimi and served raw, along with several other delicacies from the sea. What returned was a massive plate filled with sashimi of all kinds, including our crabs’ legs, slit open to make it easier for diners to pick at the meat. It was the tastiest raw crab I have ever had and hardly needed any seasoning. The second course was grilled crab, including the body of the crab, which contains the brain and has a very creamy texture. Then came a nabe, or hotpot, of crab and vegetables, followed by a crab zosui, or rice soup, using the broth from the hotpot. I cannot report on the price of this meal, since we were guests of a friend. But the Hotel Okura in Tokyo was offering a course of Taiza crab starting at Y90,000 a head. Our second crab of the season was a Matsuba crab at Kyoaji (京味), a Japanese restaurant in the Shinbashi area of Tokyo, which famously turned down Michelin’s three star badge of quality. Kyoaji being a high-end Japanese restaurant serving kaiseki, the meal was an entirely different experience from that of our Taiza crab. For one thing, the crab came at the end of a very big meal, which included a delicately flavoured clear soup of bamboo shoot and wakame (seaweed), three kinds of sushi and a plate of tempura among other dishes. Everything was exquisitely prepared and presented, but I was particularly taken by the clear soup, which had a subtle but unmistakable umami to it. This effect was achieved by using konbu from Rishiri on the northern tip of Hokkaido, Japan’s northernmost prefecture, and chinuki katsuobushi (dried bonito which has had its bloodline cut off). The use of Rishiri konbu and chinuki katsuobushi gives the broth a milder and more delicate flavor than most dashi broths. After a series of dishes, which could have comprised a full meal on their own, the Matsuba crab arrived in much the same order as our Taiza crab had – as sashimi, grilled, in a hotpot and then in a zosui. It was even bigger than the Taiza, and just as sweet and succulent, if not even more so. 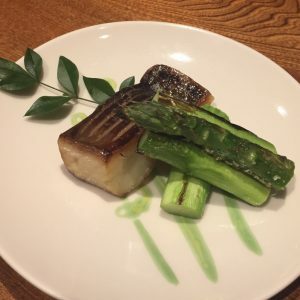 I do not know if there is something about zosui – which, in Japan, is considered an everyday kind of dish – that makes it particularly difficult to cook. 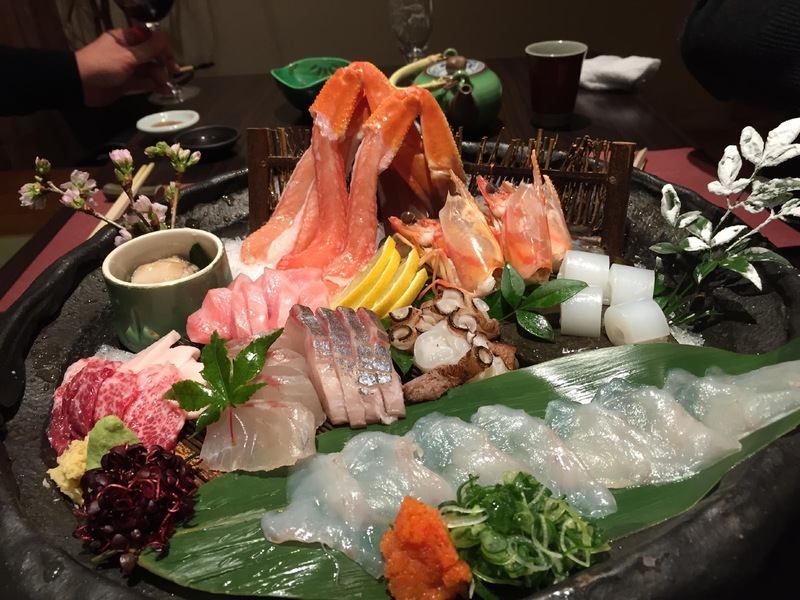 But, much to my surprise, as was the case with our meal at Ichimiya, Kyoaji’s head chef came to our private room to personally prepare our zosui. Kenichiro Nishi runs one of the most highly-regarded and difficult to reserve restaurants in Japan. 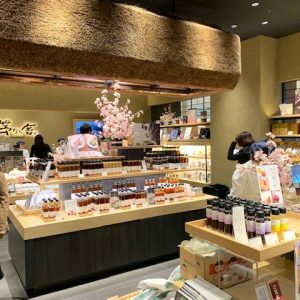 That the head chef of such an establishment, who himself is practically a living legend, would take the trouble to personally prepare what is considered a rather humble dish underscores the reverence accorded in Japanese culinary tradition to even the most seemingly simple tasks. Closed : Sundays, Mondays that are a national holiday. Prices depend on the season and what is served. Our kaiseki with Matsuba crab and wine came to Y60,000 per head.